Harry Styles and the boys from One Direction were pictured at the Natural History Museum on 27th October 2014 in London, England. 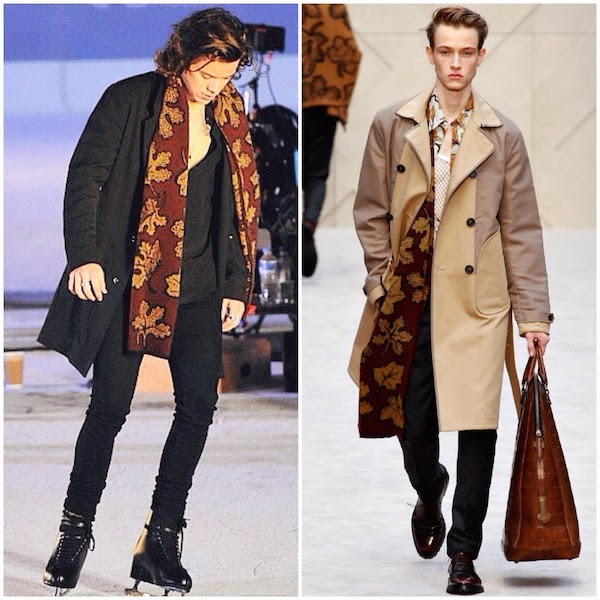 Harry Styles was pictured with a leaves print cashmere scarf from Burberry Prorsum Fall Winter 2014. If you noticed my wishlist / shopping-list on the right of the blog, you would have noticed that I am having a 'black' moment of sorts. In the words of the venerable La Wintour, "are you not feeling colours?". 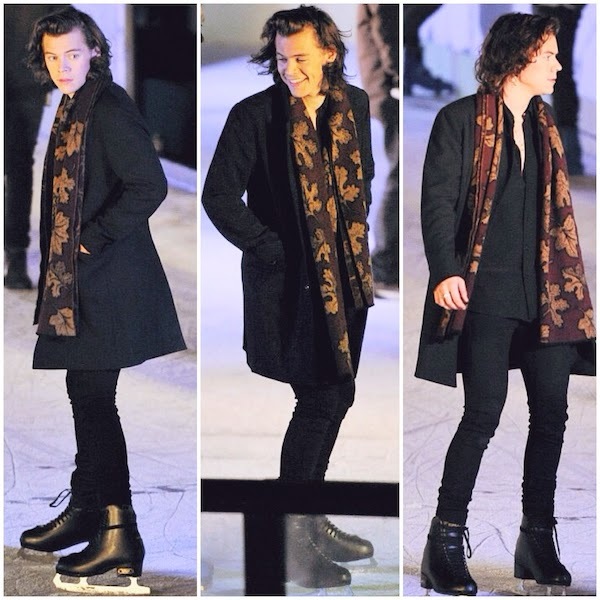 Love Harry Styles's all black outfit, which he then accessorised with a statement floral / leaves print scarf. Great hair, and I am very much feeling this rather festive outfit. Can't wait to see the music video soon.